The success of B.S. Roofing Repairs is reflected in the quality of our total roofing services, and the drive to get the job done right the first time. It has been, and will always be our intention to provide all our Sydney clients with a single point of contact for all their modern roofing restorations and gutter replacement needs. Our professional roofing specialists will thoroughly inspect your home inside and out. They are trained to seek out anything that is, or could be a problem during the life of the new system or repair being performed. We are thorough, because we understand that people do not want to, and cannot afford to pay twice for a roof restoration. We spend as much time as needed to understand the condition of your property, and the actions necessary to correct the problem. 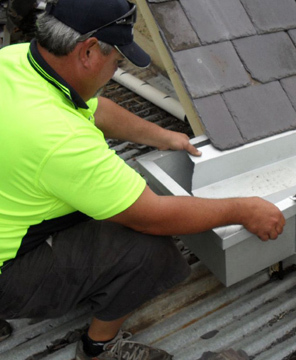 We provide first class roof restoration and roof replacement for both residential and commercial clients located in Penrith, Blue Mountains, Windsor, Hills District, Sydney's Western Suburbs and the surrounding areas. For expert advice on your roof restorations or roof replacement project, Contact BS Roofing - licensed and insured roofing experts contractors, today to organise your free, no obligation quotation.